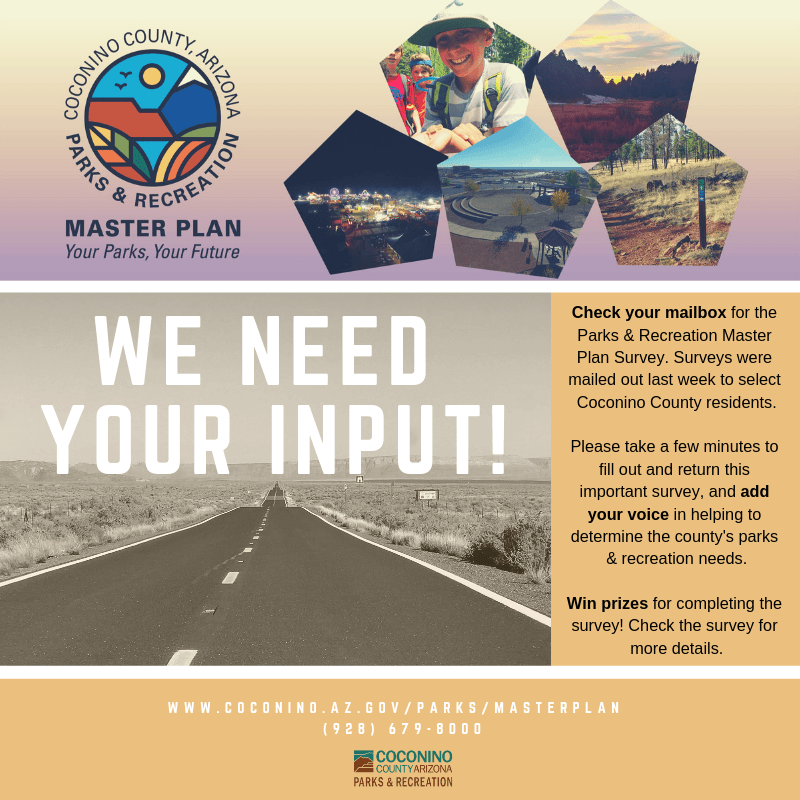 Coconino County Parks and Recreation moving full steam ahead with their work on a new Master Plan. Last month, they sent out surveys in the mail to a select number of residents in the county so you might be getting one. They’d like you to take a few minutes to fill it out and send it back to help them determine the county’s park, recreation, trails, and open space needs plus they say they have prizes for some who complete the survey, so read all the fine print so you know how that contest works. Coconino County Parks and Rec will share the results of that survey with us online in the weeks to come.